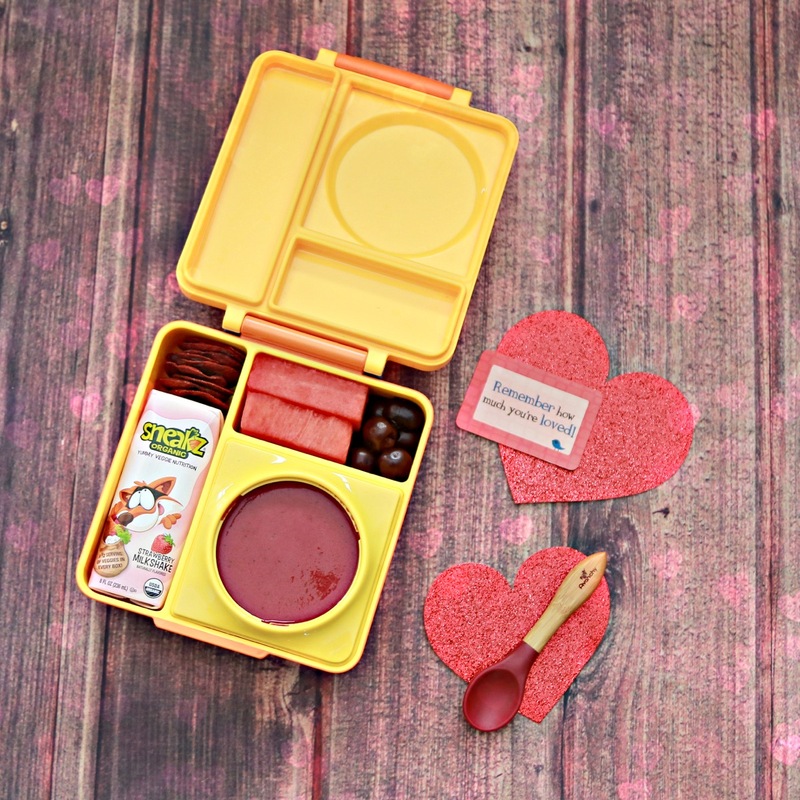 February….a month of all things red, pink, sweet, and full of love! 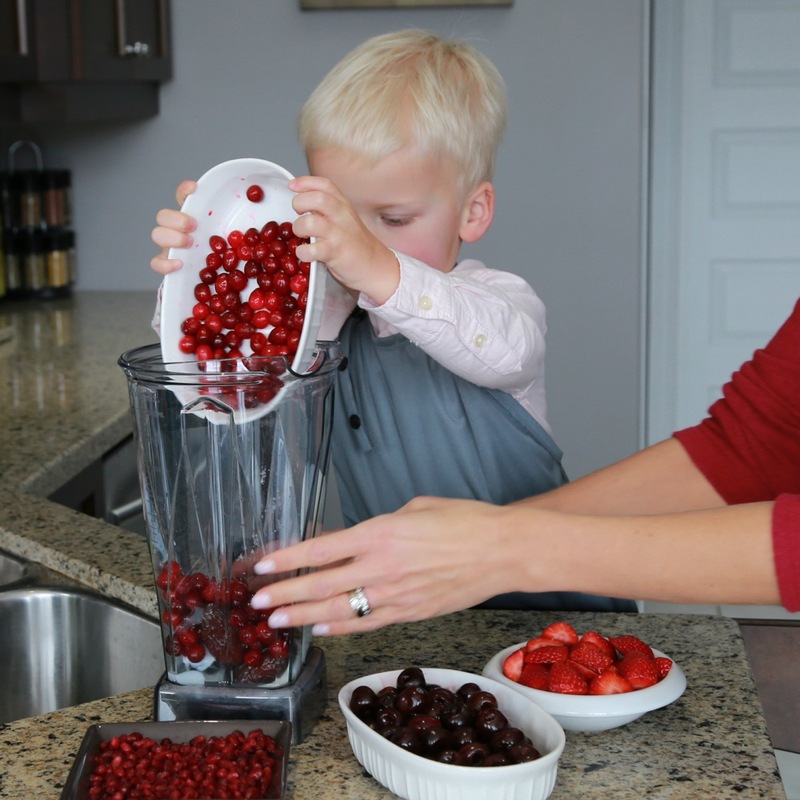 I like to get my kids involved with making red and pink foods all month long that are tasty, nutritious, and not loaded with sugar! One idea is to add roasted beets, beet powder, red peppers, or fresh/frozen berries to your favourite pancake, waffle, muffin, smoothie, and/or dip recipe. 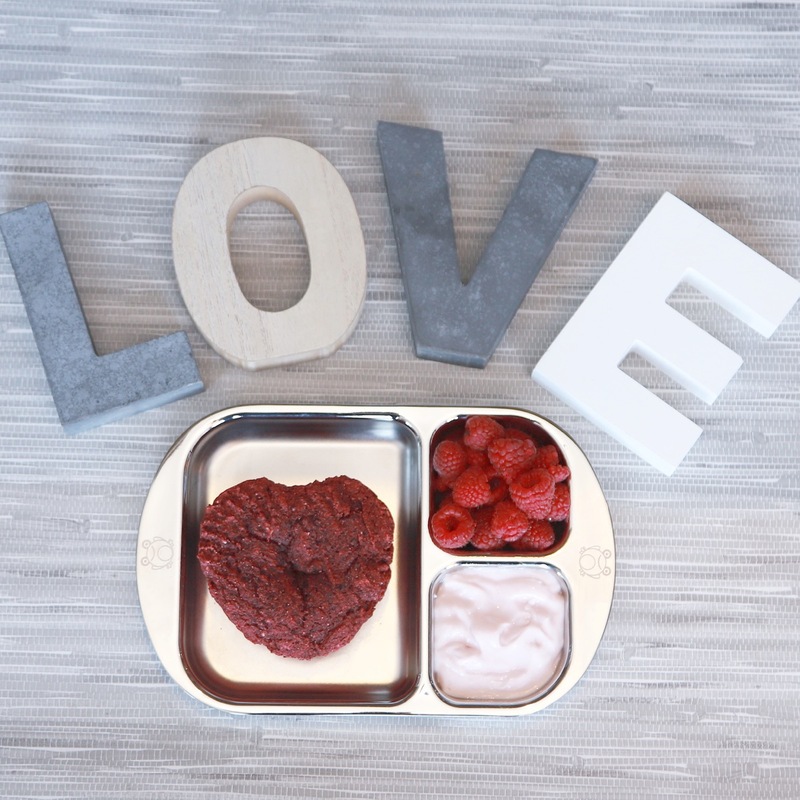 Another idea is to try red/pink/white themed snacks and lunches. 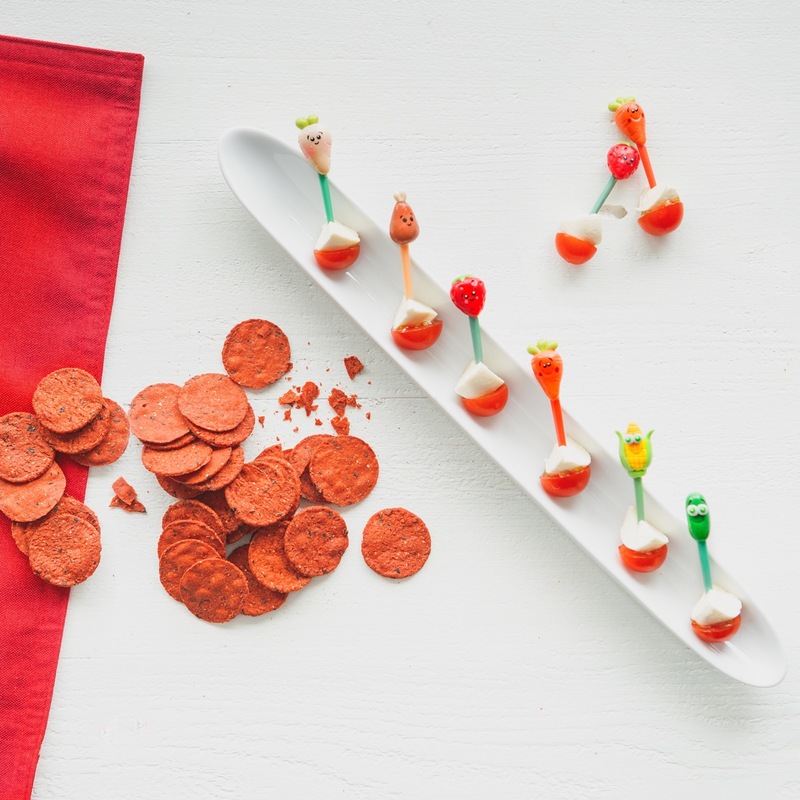 You can do this with food alone or head to your local dollar store or party supply store to find heart shaped dishes and/or baking tips and use these to serve pink and red foods that are rich in nutrition, flavor, and fun! 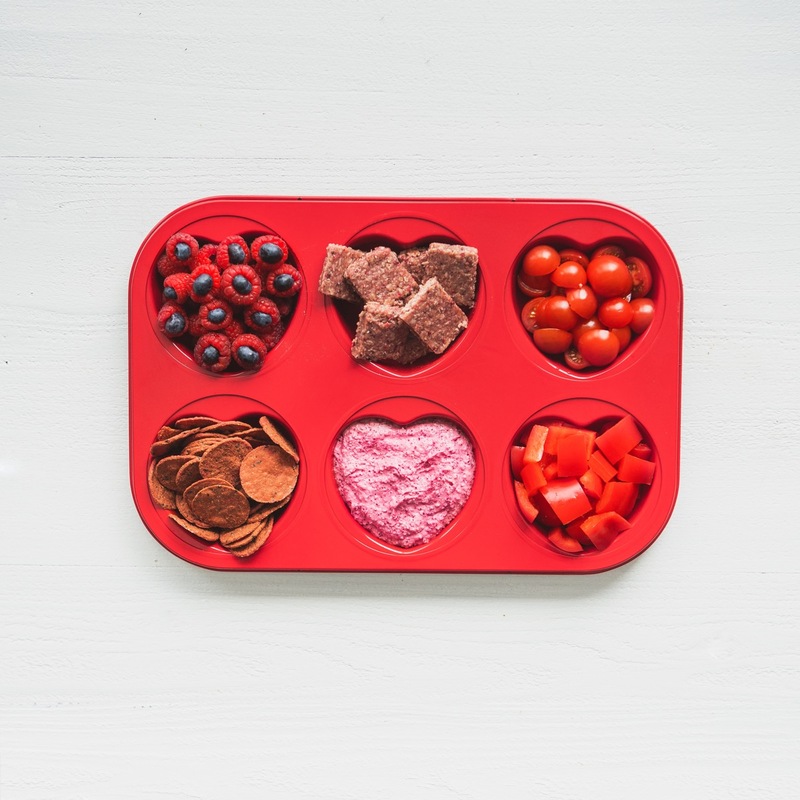 Valentines week is also a great time to get your kids involved in snack and meal prep. 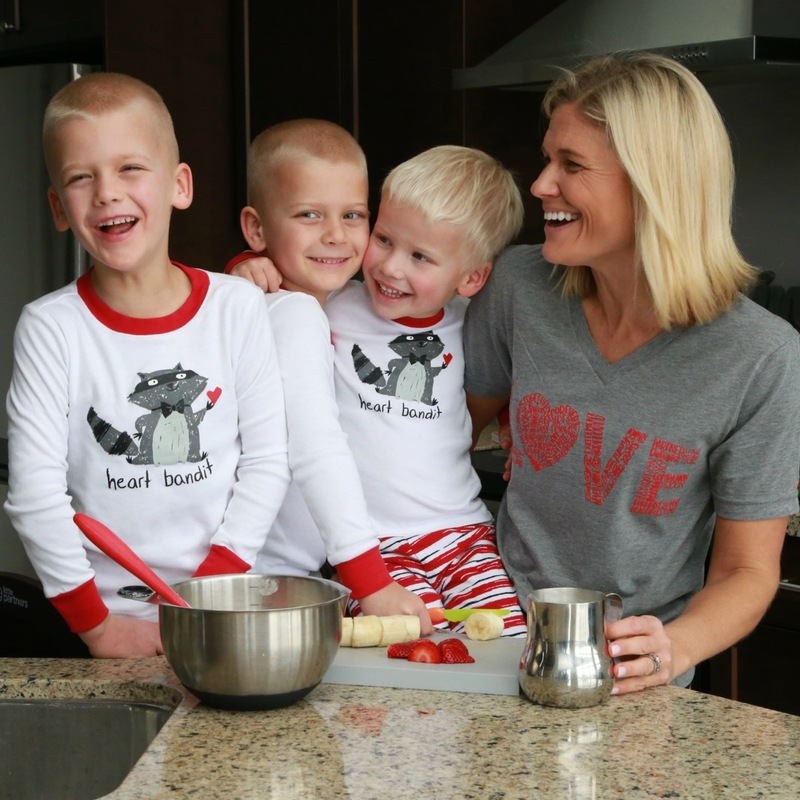 Below you can find a recipe for Homemade Valentines Day Frozen Yogurt that is easy for children to make and always a hit for snacks and dessert in our home! 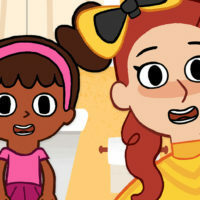 I have also included teaching opportunities that you can try while making it. 1) Pull dates apart and remove the pit. 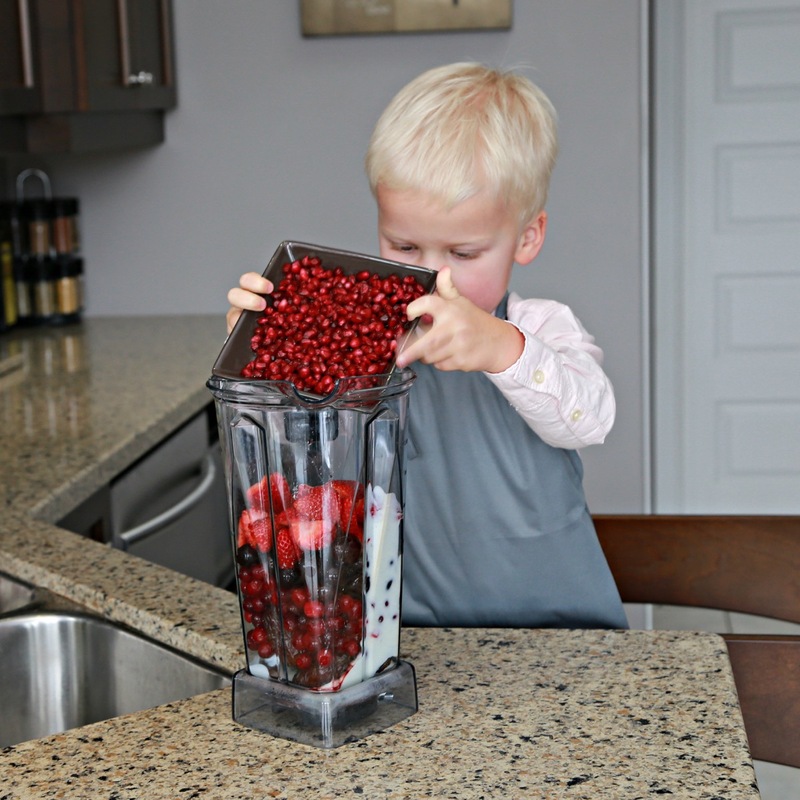 2) Add all ingredients to a blender, such as Vitamix, Blendtec, Ninja, or other that has the blade capacity to puree the dates. 3) Mix on a low setting (1 or 2) until the dates and berries have been pureed, then move to a higher setting to finish blending all ingredients. 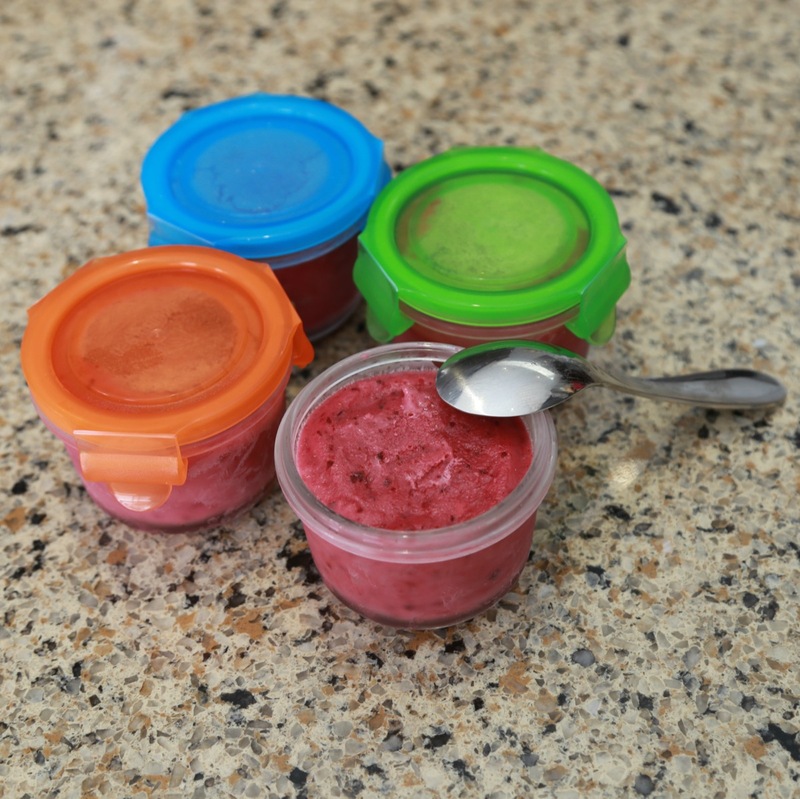 4) Pour into small glass containers or popsicle molds and place in the freezer. The containers pictured here are from WeanGreen. 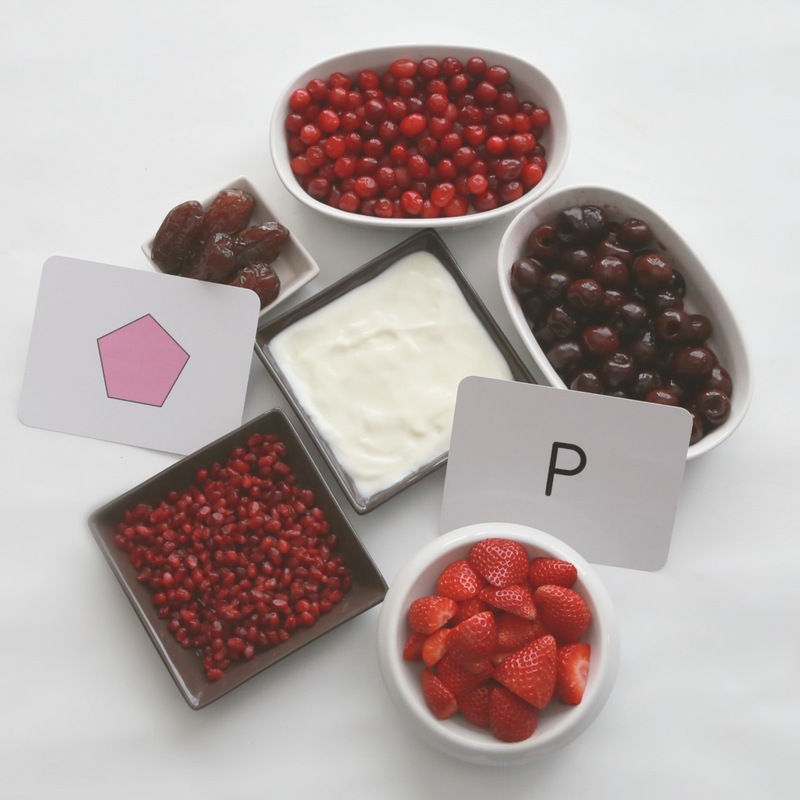 Letter recognition and letter sounds: For this recipe you can focus on the letter “P” for PINK. In our home I use a flashcard with the letter “P” on it. You could also use a Scrabble tile or alphabet puzzle piece. While adding ingredients we talk about the sound the letter makes and then other words that start with the same sound like PULL and PIT (when we pulled the date apart to remove the pit), POUR (when we added the ingredients in), and PICK (when we talked about the strawberries we had picked and frozen last summer for recipes such as this one). 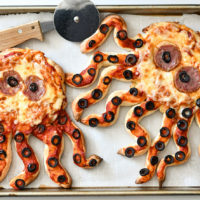 An alternate or additional letter that would be great for this recipe is the letter “F” as it applies to FROZEN, FRESH, FAST and FUN. 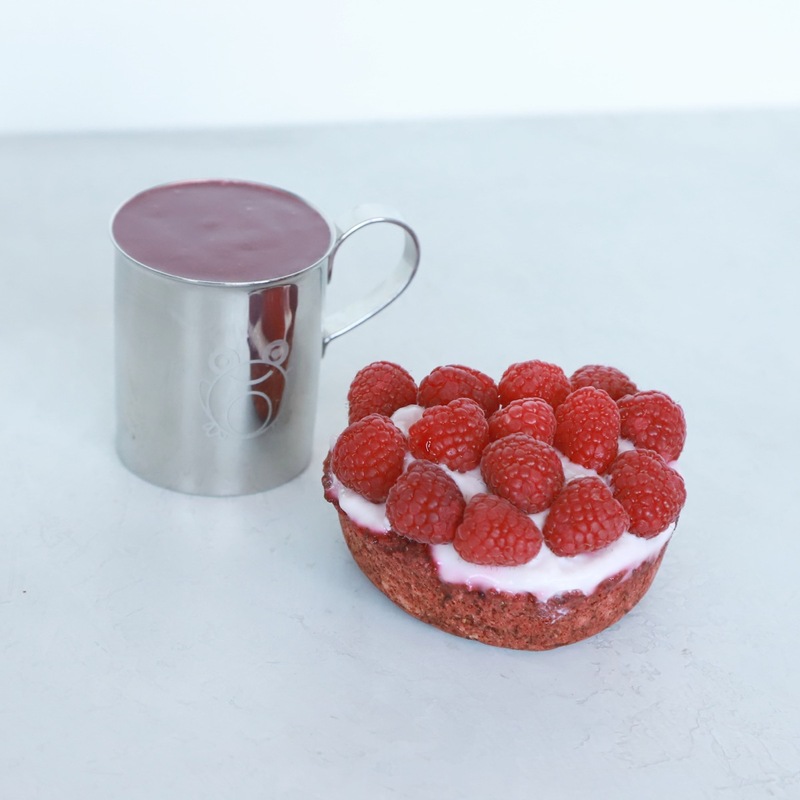 Colours: For this recipe you can talk about the colours PINK and RED. I focus on the fact that when we blend red and white, we can make pink. I use a flash card which has the color pink on it but you could also make a fun game of collecting all the pink things in your home or playroom. Texture/Solid vs. Liquid: It is fascinating to watch a child’s face as a LIQUID forms from several SOLID items. This is a great recipe to take that one step further and talk about how the process of FREEZING works and the time it takes for that to happen. 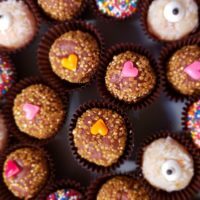 Numbers and Mathematical Skills: At the start of a recipe I like to COUNT the ingredients with my children, then let them know all we will be doing and the order we will be doing it in. Then we continue to review throughout the cooking process what we have completed and what is next. My goal is for them to understand ORDER and that it matters. 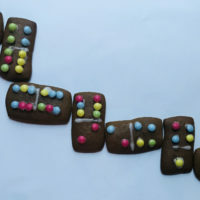 This is a rather fast recipe, but it is still a great one for counting and order as it is easy numbers which is great for a toddler/preschooler. Creating/Imagination/Experimenting: Frozen yogurt or “nice cream” is a wonderful way to experiment with blending colors, textures, and tastes. 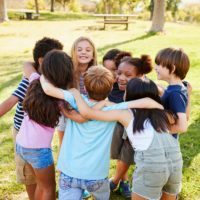 You can talk to children about what color foods they want to add and why some frozen treats are a lighter color and others darker. Life Skills: In this recipe you can discuss FOLLOWING INSTRUCTIONS, ASKING FOR HELP (to pour from heavier containers), and PATIENCE (as you wait for the freezing process).